Global railways industry is steadily moving forward with improved performance, increased competitors, increased revenue and reduction of negative results each year as the domestic travel is increasing. 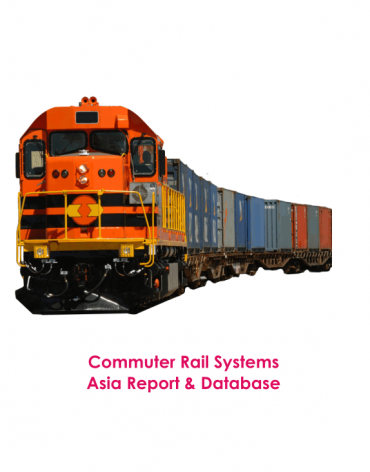 Transportation of many delicate, light-weight or important goods playing a vital role, usage of railways for safer and secure transportation has increased. Railways industry comprises of companies that manufacture trains, railway tracks, train engines, and overall railway system. Each individual sector works in different operating structure from the other. Companies in railways industry are engaged in designing, manufacturing, remanufacturing, and marketing railway products, equipment, locomotives, and services to the railway industry. Railways operation, business and industry’s complete refurbishment has given substantial growth rate. With the advent of technology, the system has improved massively and in a large scale. Ever higher passenger count, goods transportation has led to the creation of more employment and provided a stable boost to economical obstacle. There are more developments in functionality, performance and efficiency are carried out than before. Interest in railways industry is growing as the investments are increasing. The market for new entrants and new opportunities for innovation has increased as more passenger services are being offered; services such as air conditioned coaches, clean water, healthy food, hygienic environment are attracting more passengers to use this mode of transport. With improvements in technology such as high speed trains, high speed rail links, location tracking and routing capability, and computerized networks assisting in secure and safer transportation, many countries are investing in such technologies that are more beneficial as qualities such as time saving, less stressful, convenient transportation that certainly attract consumers. The railways industry is thriving with the improved condition, technology, potential growth, increased investment, and prospective consumer rate. There are improvements in infrastructure, as the urbanization leads to expansion of the region and increases transportation, technology is the key enabler for the railways industry. Globally railways industry is cutting down emissions, and increasing the utilization of increased automation. Railways industry concentrated on the emissions aspect and there were more nature friendly establishments in developments of trains, which led to the idea of green transportation. However, now digitization has empowered safety and features to the level that there are reductions in errors, more accurate data, precise reports and analyses, improved safety and many other aspects are leading the global railways industry to new heights. Smart transportation is the idea and the importances of incorporating computerized devices are beginning to show. From marinating the speed of the locomotive to the load it is taking and how the complete system is performing, is all being used to provide more efficient services. Apart from the technology front, usage of fuels and any resource to run the engine is being taken seriously. Investment in natural gas for next-generation locomotives is underway. In addition to that, heavy investments are carried out in systems that are compatible with hydrogen as the performance lasts longer and also more nature friendly. The two resources, liquefied natural gas (LNG) and hydrogen are the two most prominent candidates that are expected to replace diesel-based engines. As the market appears to be eager to incorporate LNG more likely as the results are more beneficial with more environment friendly emissions and financially affordable systems than diesel-based engines. Major companies and national corporations that are established in the railways industry are, Global Railway Industries Ltd, Hydrail, South African Railways, Metrorail, Indian Railways, Mass Rapid Transit System, Arlanda Express, Eurostar, Arriva Trains Wales London Underground, Trenitalia, Amtrak and Union Pacific.